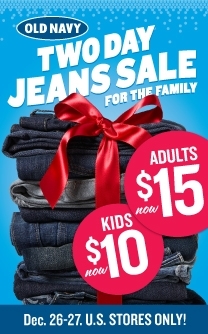 From 12/26 to 12/27, Old Navy is offering a two-day wonder with jeans priced at $10 for kids and $15 for adults! While supplies last. Select styles only. Store hours may vary by location. Limit 5 per customer. In-store only. 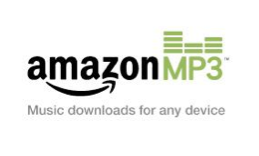 Amazon: Another FREE $2 MP3 Credit! Head on over here and enter the code GIVEMP3S to snag yet another FREE $2 MP3 credit on Amazon.com! This code is good towards any MP3 purchase and must be used between 11/23 and 12/26. FREE Sample ZAPZYT’s Acne Treatment Gel! Head on over to the ZAPZYT Facebook page and "Like" them and click on the "Free Sample" tab at top to request a FREE sample of ZAPZYT Acne Treatment Gel! Allow 4-6 weeks for delivery. Nivea: $2/2 Lip Care Coupon! Head on over to the HydroPeptide Facebook page and "Like" them and click on the "Free Samples" tab at top to request a FREE Sample of HydroPeptide products! You'll even be able to choose the sample you'd like to receive!